Many items of leather furniture are spray painted Look closely at these pictures and you will see lighter patches. This is because the top coat spray has reacted with the very strong alkaline contained in baby wipes. “But baby wipes are so gentle for babies’ bottoms”, our customers say, so how can they possibly damage a leather sofa or chair? No they are not gentle. They are designed to neutralize urine which is acidic. 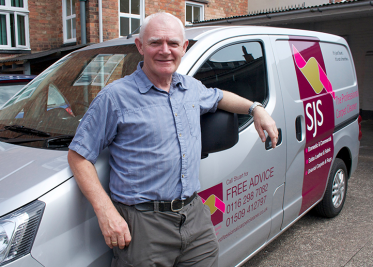 SJS advice is to ask an expert before using anything other than a damp cloth on any of your leather furniture or expensive precious Mulberry Handbags, or you may fade the colour in patches. He even applies a leather protector as part of the process and is happy to include your mulberry, Prada or Radley handbag.